A new report makes a practical, policy and political case that preschool is fundamental to our nation’s free public education system and that universal access should be a constitutional right. “A wealth of new research and political developments around the country support the position that pre-K must be accessible to all children at age three as a core part of their right to a free public education,” according to the report. Establishing Universal Access to Prekindergarten as a Constitutional Right, published by The Center for Educational Equity (CEE) at Teachers College, Columbia University and the Center for Children’s Initiatives (CCI), cites evidence of benefits to children and communities; defines what such a right would entail and reviews state legal precedents for establishing such a right. “We contend that policy commitments alone, without the bedrock of a well-defined right to early education, fall short,” the report states. Today, access to high-quality pre-K varies widely between states and within states–even from one year to the next–based on fiscal conditions and political will. For example, pre-K expansion in most states stalled for years following the 2008 Great Recession, and state preschool funding per child did not rebound to pre-recession levels until 2015-16, according to The State of Preschool 2016. To ensure that financing is stable and sustained, the report recommends states integrate preschool funding into their K-12 funding formulas, with allocations protected for preschool. A 2016 NIEER study determined use of the school funding formula is associated with greater adequacy and stability in pre-K funding. NIEER Co-Director for Research Milagros Nores, Ph.D. will share her presentation “The Economics of Investment in Early Childhood Education” as keynote speaker and lead a roundtable discussion with education researchers during an international conference hosted by the Ramón Areces Foundation on December 4 in Madrid, Spain. Dr. Nores holds a Ph.D. in Education and Economics from Columbia University and an Ed.M. in Educational Administration and Social Policy from Harvard University. The Center on Enhancing Early Learning Outcomes (CEELO) recently posted online a staff presentation to the Council for Professional Recognition’s 2018 Early Educator Leadership Conference during its CDA PD Specialist Symposium exploring leadership development, toolkits and resources designed to support knowledge and skill development enabling individual leaders to build and sustain high-quality systems implementing evidence-based practices. CEELO has provided intensive leadership training with cohorts of state early childhood leaders, including this year’s fourth meeting last week focused on communications and advocacy. If you are curious about what Leadership Academy Fellows are learning and doing, check out the readings and exercises found under the agenda/materials tab on the Cohort 4 Website. The Saul Zaentz Early Education Initiative at the Harvard Graduate School of Education has released the first results from the Early Learning Study at Harvard revealing the types of learning and care settings where Massachusetts’ 3- and 4-year-olds spend their time. The ELS@H is a large-scale, population-based study of young children’s learning and development. Researchers suggest that its representative sample and longitudinal design enable the study to address key questions that face today’s policymakers and practitioners. The household survey instrument was designed to capture detailed information on children’s current early education and care arrangements, including the type of education and care used, the number of hours of education and care used, and the adult caregiver’s confidence in his or her child’s education and care. Caregivers were similarly asked to rate their confidence in the child’s doctors or medical care. Initial analyses suggest that more than half of children primarily use some type of formal education and care. Also, researchers found clear differences in the types of education and care used between 3-year-olds and 4-year-olds, and across relatively high- and low-income communities. A new study in the Journal of Economic Dynamics and Control examines the effects of early childhood skill formation on productivity and later schooling. The model is calibrated to United States data from 1961 to 2008. Researchers suggest that early childhood education can explain a large part of the observed increase of years of schooling in the U.S. since 1961, and they suggest it was as important as education at older ages for the increase of labor productivity in the period. They further suggest that, based on their model, small reallocations of public expenditures to early childhood education would have sizable impacts on income per capita and productivity. A new paper released in Early Education and Development explores the cumulative amount of the quality of teacher-child interactions over multiple years during early childhood and its effect on children’s early learning outcomes. Researchers compared academic outcomes of children who experienced consistently high-quality or consistently low-quality teacher-child interactions, as defined by the Classroom Assessment Scoring System (CLASS) during prekindergarten and kindergarten. Children who experienced consistently high- and consistently low-quality instructional support differed in language and literacy skills after just one year. Researchers found gains were even greater for children who experienced high levels of instructional support over two years but note relatively few children have access to such opportunities. In a recent Child Development paper, researchers examined when and how children develop the capacity for deliberate practice. Researchers suggest deliberate practice is essential for acquiring a wide range of skills, yet little is known about when and how children develop this capability. 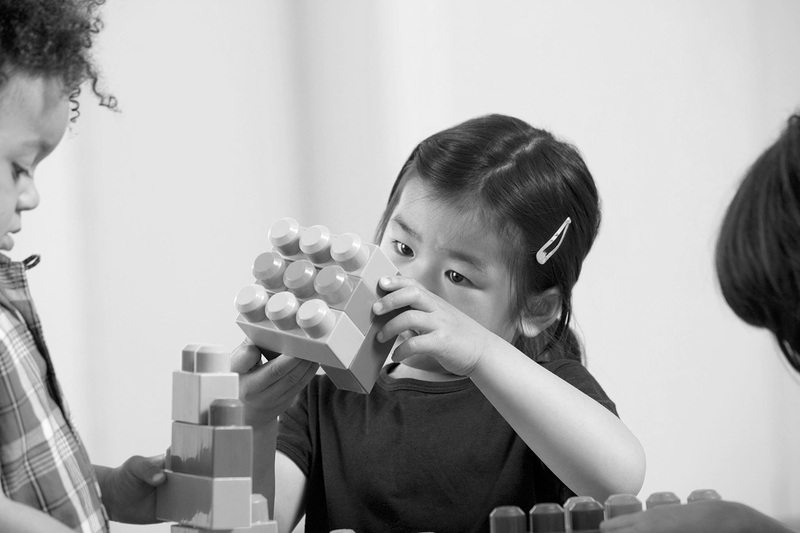 The current study examined 4- to 7‐year‐olds’ ability to selectively practice a skill that would be useful in the near future, as well as their broader understanding of the role of deliberate practice in skill acquisition. Researchers suggest that 6- and 7‐year‐olds demonstrated both an explicit understanding of deliberate practice and the capacity to practice without being prompted. Five‐year‐olds showed an understanding of deliberate practice and some capacity to practice, whereas 4‐year‐olds showed neither of these capabilities. A new study in the International Journal of Environmental Research and Public Health sets out to quantify and examine differences in preschoolers’ indoor and outdoor sedentary time and physical activity intensity at child care using an observational study of 46 preschool-aged children. Researchers found preschool-age children are twice as active and less sedentary when outdoors compared to indoors in child care settings. To help preschoolers achieve moderate to vigorous physical activity recommendations and likely attain other benefits, one strategy is to increase the amount of time they spend outdoors and further study how best to structure it. IDAEYC is seeking a Community Collaborative Coordinator for Preschool The Idaho Way.